Alison is proud to be a member of the Animal Voices collective since November 2009, where she reunited with her radio broadcast roots to produce and co-host a show that speaks deeply to several of her passions: animal rights, veganism, education, and broadcast communications. Her evolution into developing her awareness of animal issues and compassion for all creatures started as a teenager, when she began asking questions and adopted a vegetarian lifestyle to live in harmony with her ethics. Always on a path of learning, she went vegan in 2006, and since 2011 has been exploring a high raw vegan lifestyle. Alison enjoys participating in many facets of animal activism in her community, from attending demos to tabling for animal rights groups to social media advocacy. However, she is most committed to and focused on providing quality programming on the Animal Voices show each week, and continuing to educate herself on these issues so that she can have the most up-to-date and accurate information with which to educate others. A few of the most influential books she has ever read to help pave this path are “Slaughterhouse” by Gail Eisnitz, “Diet for a New America” by John Robbins, and “The World Peace Diet” by Will Tuttle – all must-reads for every human being, in her opinion! Jen lends her time and efforts to multiple animal rights organizations. She became vegan in 2015 after watching the documentary film “Earthlings“. Creative and effective activism is Jen’s forté; she has turned countless people onto a vegan lifestyle with her engaging personality and heartfelt discussions. Her favourite websites for soon-to-be vegans are “Vegan Sidekick” and “Mercy For Animals Undercover Investigations.” Jen has a deep concern for the anthropogenic destruction of Mother Earth and its impact on humanity, and thus considers social/earth/animal activism to be our “rent” on this beautiful planet. Prior to joining the Animal Voices team, Jen was interviewed on Animal Voices’ 2015 Valentine’s Day radio show regarding dating as a vegan activist. Elyse has been co-hosting Animal Voices since September 2014 and producing since October 2015. 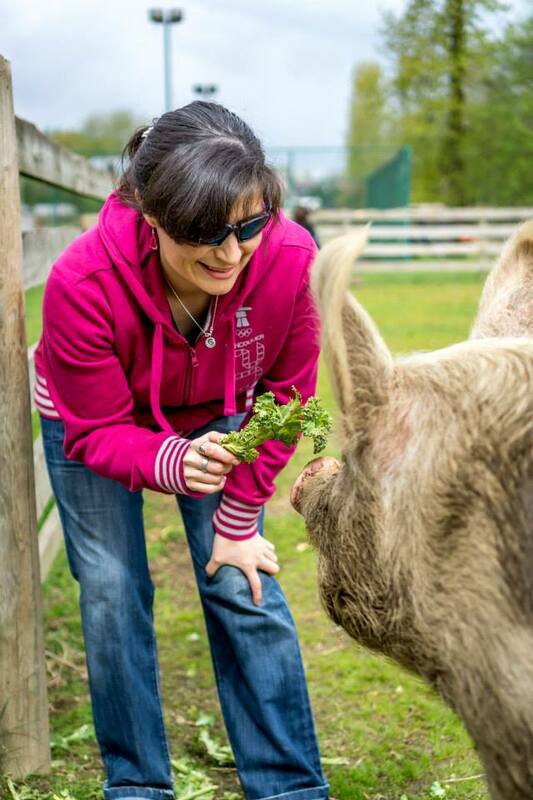 A lifelong animal lover, she finally “made the connection” in 2010 after watching the documentary Earthlings, and committed to a vegan lifestyle. She is now a passionate advocate for animal liberation and regularly participates in activism in the Vancouver area. She is especially interested in evidence-based vegan nutrition, the intersections between veganism and other social justice issues, and all scientific findings related to animal behavior, sentience, and intelligence. 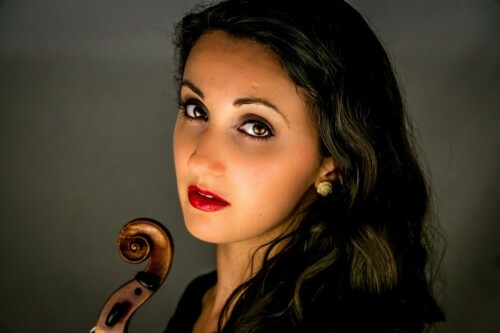 Elyse is a professional classical violinist and violin teacher, as well as an occasional lyricist, and she enjoys using these skills and the platform they provide to call attention to animal and human rights issues. In her spare time, she enjoys eating delicious vegan food, going to concerts and plays, travelling, reading articles online, and watching movies.